Scientists are watching the whale known as J-35 closely as she carries the body of her dead newborn, for an "unprecedented" 16 days and counting, while they mount an emergency response for another ailing orca. 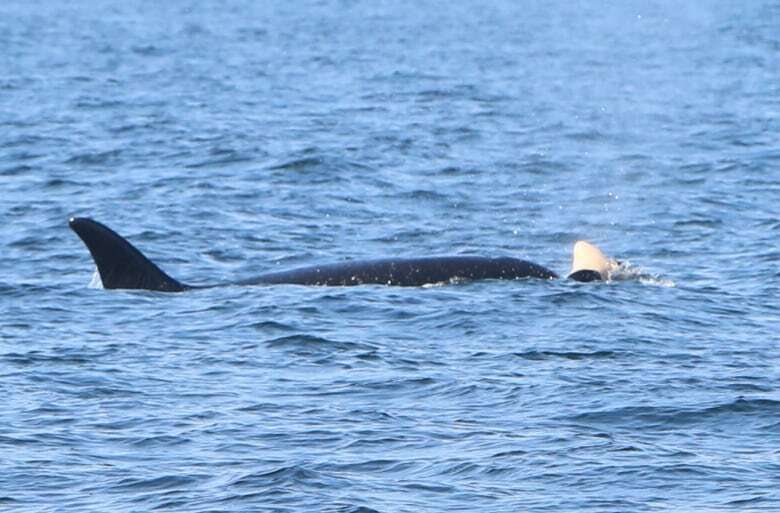 The moving display of what looks like grief by a mother killer whale known as J-35 has reached "unprecedented" lengths, as she continues to carry the body of her newborn more than 16 days after it died. "We've had a number of dead babies that get carried for part of a day, but nothing like this," said Ken Balcomb, a founder and scientist at the Centre for Whale Research. The calf was born on July 24, but died soon after. Since then, the mother has refused to let go for more than moments at a time, pushing the newborn carcass along with her forehead or holding its tail in her teeth, in waters off the West Coast. 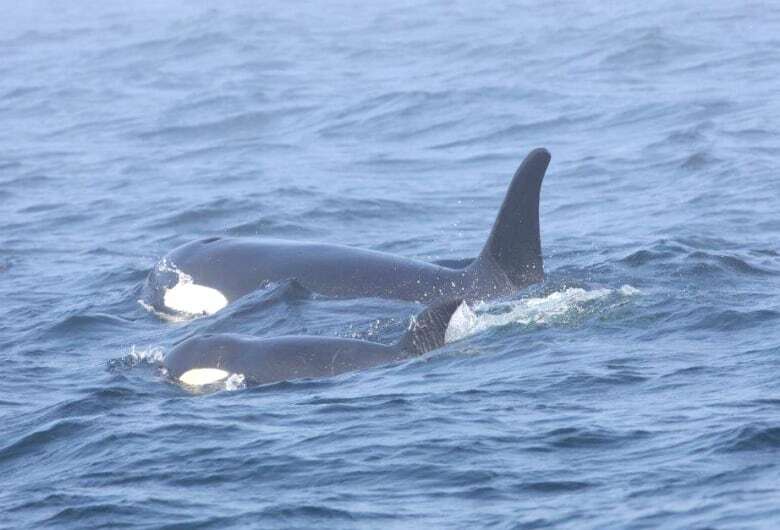 The pair were most recently spotted off Port Renfrew, B.C., and Cape Flattery, Wash.
Wednesday, after days at sea with her family group, known as J-pod, a crew with Fisheries and Oceans Canada spotted her again — on day 16. 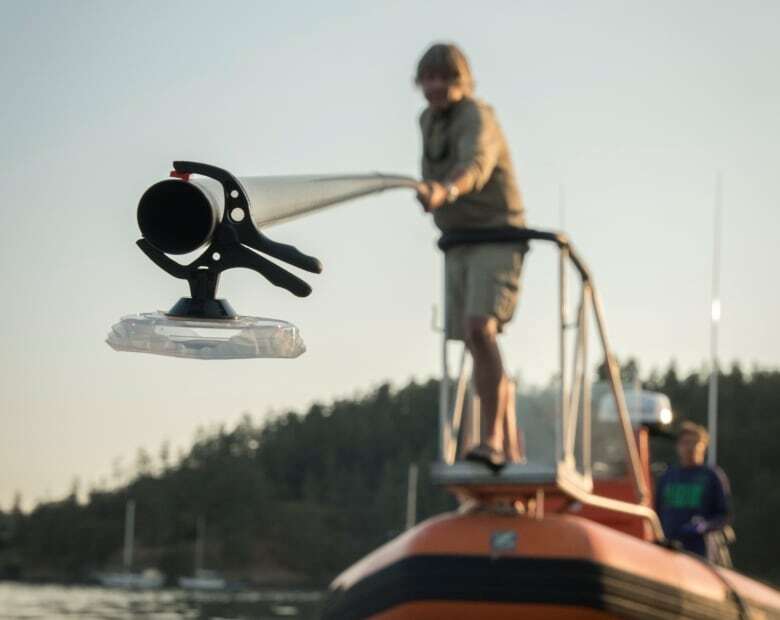 "I certainly think the duration of carrying the calf is unprecedented," said Sheila Thornton, lead killer whale research scientist for the fisheries department. Now, scientists are keeping a close watch on her, while also taking steps to help J-50, another whale in the endangered pod, which is malnourished and may not survive. After days of discussions with its U.S. counterparts, the department said Thursday it is issuing permits to treat J-50 in Canadian waters. At the risk of making human presumptions about what a whale is feeling, some tread cautiously when choosing words to describe what J-35 is doing. "You can look at that as mourning behaviour, it's very difficult to say," said Thornton. "They're very intelligent animals and the loss of this animal is quite profound for both the matriline [family group based on kinship to the female line] and everyone who witnesses this." Balcomb, who has studied orcas for more than 40 years, minces no words. "Grief. I use grief. Clearly this is a distressing situation for this mother whale." Carrying a dead baby is not unheard of behaviour among some primates, and other marine mammals including dolphins, though Balcomb said this length of time hasn't been documented in killer whales. "In this case, we're absolutely positive the same whale has pushed this baby for about a thousand miles," or 1,600 kilometres, he said. Spending that kind of energy for more than two weeks has left observers concerned for the mother's health. However, she has been seen dropping the calf momentarily to catch fish, said Balcomb. Also, because her body was preparing to nurse the calf when it arrived, she likely has extra fat stored in her blubber, said Dawn Noren, a research biologist with the U.S. National Oceanic and Atmospheric Administration (NOAA). For now, crews on the water from the fisheries department and NOAA will watch her closely, but have no plans to interfere. 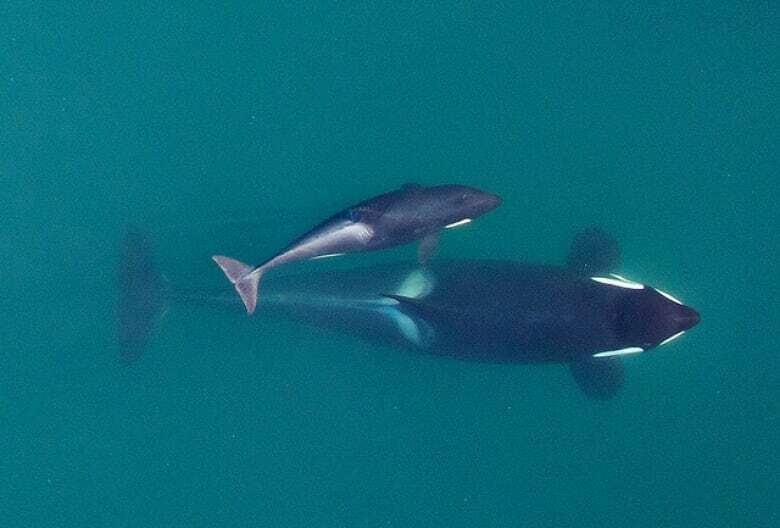 Still, the newborn's death has larger meaning in the southern resident killer whale population that so endangered there are only 75 individuals left, with no successful births in three years. "She's telling us a story… of what this population is facing," said Balcomb. "It's near extinction, functional extinction if they can't have babies." Because of these whales' precarious existence, the declining health of J-50 has become an emergency. Officials in the U.S. and Canada have been discussing for days how to respond to the emaciated and ailing young whale, who is three years old and still swims by her mother's side. They want to treat her with antibiotics — in case infection is partly to blame — but that's never been tried before with a killer whale in the wild. "This is a novel undertaking," said Brad Hanson, with NOAA. It's not clear what's ailing J-50, but overhead drone footage has shown her losing weight rapidly, and her breath smells foul. There had been complications in the plan to treat her as the pod moved between U.S. and Canadian waters. NOAA was ready to move earlier this week, but Canadian officials still needed more paperwork. On Thursday, however, Fisheries and Oceans Canada said it is issuing permits to inject J-50 with a broad-spectrum antibiotic either via pole or dart-gun, as soon as conditions allow. "We don't want to be in any way delaying any treatment," said Andrew Thomson, regional director of fisheries management for the Pacific region. Crews need "nearly perfect" weather to slowly and cautiously approach the sick whale, and conditions have been choppy and foggy. They are prepared to mount a response Friday.